Alone on a timeless beach, Josephine Pellegrini find herself disappointed by the end of the world. The sun is almost down, an orange flare just beyond the edge of the calm expanse of the sea. The globe of Earth hangs in the sky. There are dark tendrils chasing each other in the white and blue, spreading like spilled ink. Matjek Chen's Dragons, turning matter and energy and information into themselves. Soon they will burrow into the crust of the dying world. And when the world has died? Josephine will turn her attention to the tools that have failed her. To the traitorous Mieli and to the thief who betrayer her: Jean le Flambeur. 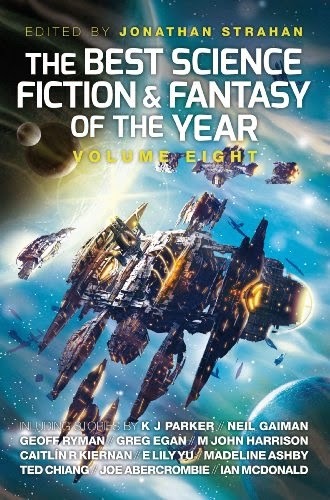 With his infectious love of storytelling in all its forms, his rich characterisation and his unrivalled grasp of thrillingly bizarre cutting-edge science, Hannu Rajaniemi has swiftly set a new benchmark for SF in the 21st century. He has told the story of the many lives, and minds, of the gentleman rogue Jean le Flambeur. 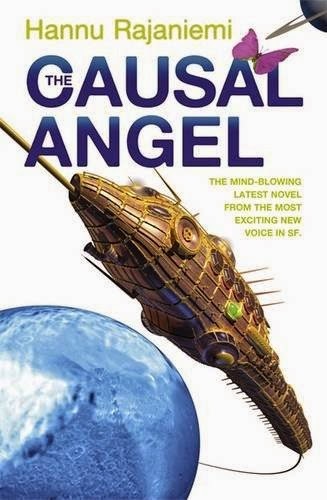 The Causal Angel is as daunting a novel as this early excerpt suggests, requiring from its readers such deliberate committment that those who come to their fiction for fun—though there is some—would be best to leave this baby be. Accessible it ain't, I'm afraid. What it is is brilliant: far more focused than the books before it, and as fulfilling, finally, as it is difficult. I could be anyone. I could go to Saturn or beyond, find someone to take care of Matjek, and then be Jean le Flambeur again. In particular his promise to Perhonen: to make sure Mieli is safe from the many threats she faces—a fair few of whom wish her ill because of her association with him. Without her at his side, Jean understands at last that he is "a lonely man, a divided man [...] a man wrapped inside another creature," (p.154) indeed. To wit, the thief, in a moment of unforeseen decency, sets about begging, borrowing but by and large stealing all he'll need to make one final heist happen. Rajaniemi's renewed focus on the Zoku allows The Causal Angel to retain the piquant playfulness of its predecessors, but with The End of the entire imminent, and the stakes so sky-high—all mankind hangs in the balance in the last act, in fact—the author is wise, as well, to invest Jean's quest with real seriousness. His habitual hijinx are neither gone nor forgotten—the scene where Jean steals the Leblanc back is especially memorable—but he's not just nicking things for the sake of it, at this stage. 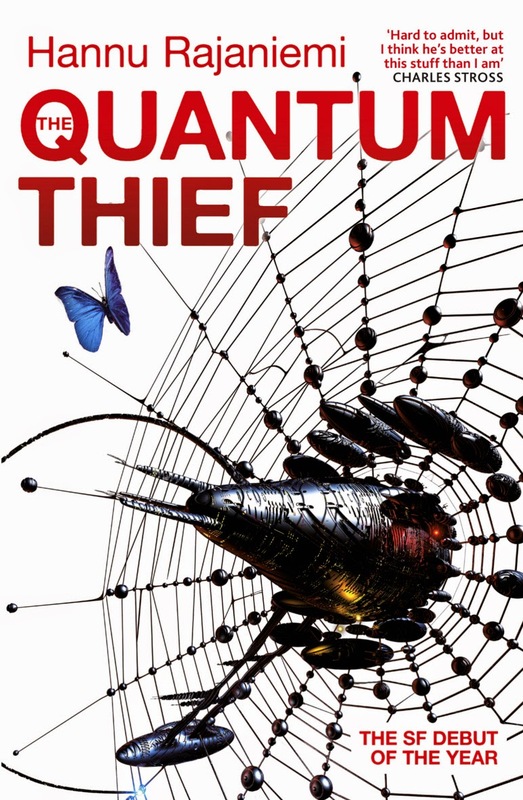 He's stealing to save Mieli, as he sees it, and in a very real sense to remember himself. Insights into who he was before he became the thief featured in this series do a great deal to add humanity to his larger than life character. Jean is suddenly vulnerable—and relatable, relatedly, in a way he hasn't been since we saw him sitting in a cell at the very beginning of the trilogy. 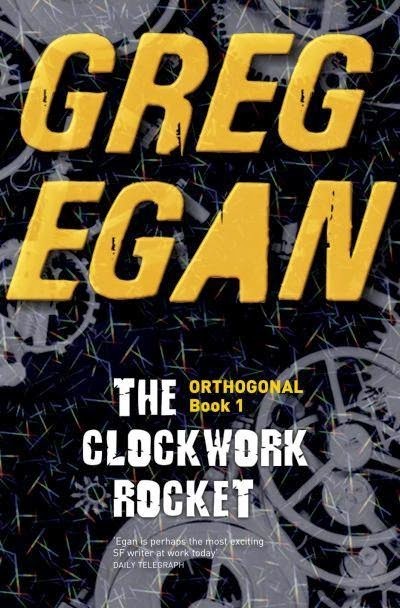 This satisfying circularity is further reinforced by the book's bad guy: the All-Defector, to whom we were introduced in the opening chapters of The Quantum Thief, because "causality. It's a lens through which we see things. An ordering of events. In a quantum spacetime, it is not unique. It's just one story among many." (p.40) Several other events are also so ordered, including the arc of Mieli's feelings for the titular figure and Jean's sometime lover Josephine Pellegrini's insatiable search for perfection. In this way, The Causal Angel has clarity where it counts: in terms of narrative and character, the very fundamentals of fiction. That said, this isn't easy reading. Moments that are markedly more abstract come thick and fast; readers are practically guaranteed to be flustered with frustrating frequency... but also, belatedly, amazed. At the last, there's no other option than to let the weird and the wonderful wash over one: a Zoku trueform fug of strangelets and sparkling diamonds, beautiful to look at, but still more striking from the inside. 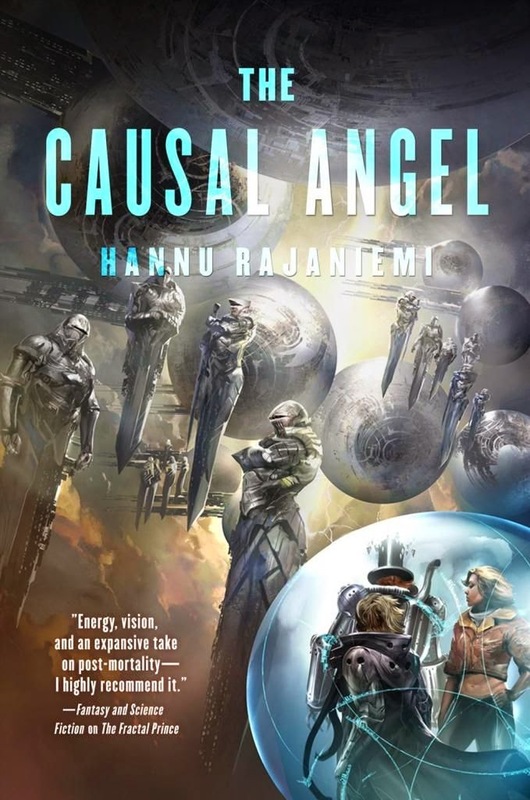 Hannu Rajaniemi is without question one of the smartest authors working in science fiction as we speak, and I can't wait to see what he does next.